Google has apologised for the outage that hit business and consumer users of its popular e-mail service. The GMail service went offline at 0930 GMT and, Google claims, was unavailable to all for "approximately two and a half hours". But anecdotal evidence suggests it was out of action for many users for about four hours - one of the longest downtimes ever suffered by Google. More than 113 million people use Google mail worldwide, according to comScore. In a statement posted on its official Google blog it said: "We're really sorry about this, and we did do everything to restore access as soon as we could.". It said its engineers were still investigating the "root cause" of the problem. "We know how important GMail is to our users so we take this very seriously," it added. It said that those getting back into their e-mail may have to fill in a captcha form that asks people to decipher and re-type some scrambled letters before getting access to messages. According to comScore, Google has the world's third most popular web mail service behind Hotmail with 283 million users and Yahoo with 274 million e-mail users. More than a million business around the world use Google's professional suite of applications, including e-mail. Google itself relies on the service and press spokespeople for the firm were unable to e-mail journalists with statements regarding the problem. Professional users are covered by a service level agreement that promises to be 99.9% operational in any calendar month. The "premier edition" of the Apps service costs $50 (£34) per user for a year. 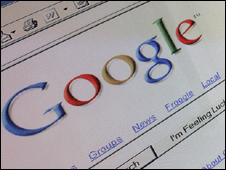 The last outage of note was in August 2008 when users were unable to use Google Mail for "a couple of hours". After the incident Todd Jackson, product manager for Google Mail, said in a blog post: "We're conducting a full review of what went wrong and moving quickly to update our internal systems and procedures accordingly." On its support page for Google Mail, the firm said "A number of users have had difficulty accessing GMail today. "The majority are now able to access their e-mail accounts again and we're hoping to have service restored for the remainder very soon."